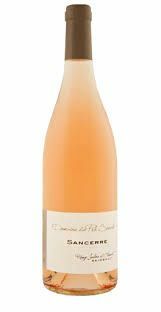 This is a light, fresh and very elegant rosé with great structure and minerality on the palate. The fresh red fruit flavours are perfectly balanced; serve chilled as an aperitif or to accompany summer salads. The Raimbault family has been making wine in the heart of Sancerre region for five generations, using a carefully considered minimal interventionist approach to create wines of great purity and finesse.